Using the “L” word: Daniel Dale explains that a lie is a false statement made intentionally. Comey hype warning: Margaret Sullivan warns against a media “swoonfest” as the fired FBI director embarks on a tour to promote his anti-Trump memoir. BuzzFeed’s decision last week to publish a 35-page dossier containing allegations about President-elect Donald Trump’s relationships with Russia has prompted a great deal of discussion among journalists and journalism organizations about the ethics of the decision. A number of those weighing in – such Washington Post media columnist Margaret Sullivan and Poynter Institute for Media Studies ethicist Kelly McBride – have argued that BuzzFeed was out of line for publishing unverified information. But some – including Watergate reporter and now CNN analyst Carl Bernstein and Columbia Journalism Review managing editor Vanessa M. Gezari – supported the decision. I think the fact that thoughtful people have landed on different sides is evidence of the fact that there are multiple ethical considerations involved, some of them potentially conflicting. Although verification is at the core of ethical journalism, exceptional situations like this one may arise where the decision on publishing is not so easy, particularly if the documents have surfaced in some official setting. I have been thinking beyond this situation to similar ones that may arise in the future and the ethical questions involved. Below is a list of questions I’m suggesting to help in thinking through the ethical issues in these situations. I have grouped the questions under the headings of the principles of the Society of Professional Journalists ethics code, as well as other considerations – public relevance and journalistic purpose – that relate to the mission of journalism. In writing these questions, I’m inspired by some lists that Poynter has done to help journalists in other areas of ethical decision-making such as going off the record and, recently, using Facebook Live. Two co-authors and I also raised some of these issues in a question list in an academic study on data journalism. I welcome any comments from readers on how these questions might be used or revised. Have the documents been discussed or used in any official settings (e.g. intelligence briefings, committee hearings)? Have they otherwise been discussed on the record by any public officials? Is there a compelling reason for the public to know about the information in the documents? Have you or others tried to verify the information? Where verification has been possible for specific pieces of information, has the information proved to be true? Are the sources of the documents reliable? Why or why not? Is your decision to publish based on your own independent judgment of the ethics of publishing or on competitive pressures or other considerations? If the documents contain sensitive allegations, what potential harms could result if you release the documents in their entirety or publish those details and they prove to be false or impossible to verify? If potential harm is a valid concern if you release the documents in their entirety or report details such as these, how could you minimize harm (e.g. redacting some details, summarizing)? Are you explaining the process you used in your decision-making including any conflicting ethical considerations and the ethical reasons for making the decision you did? Are you explaining any efforts you made to verify the content of the documents and the outcome of those efforts? By thinking through these questions, journalists can uphold the importance of verification while also considering when and how to report on unverified documents there may be a compelling reason for the public to see. Powerful men often have a way with words, although not always in the way we might expect. Mayor Richard J. Daley of Chicago was famous for malapropisms, often saying the opposite of what he meant. He was Chicago’s powerful mayor for 21 years, and an example for journalists taking measure of Donald J. Trump. 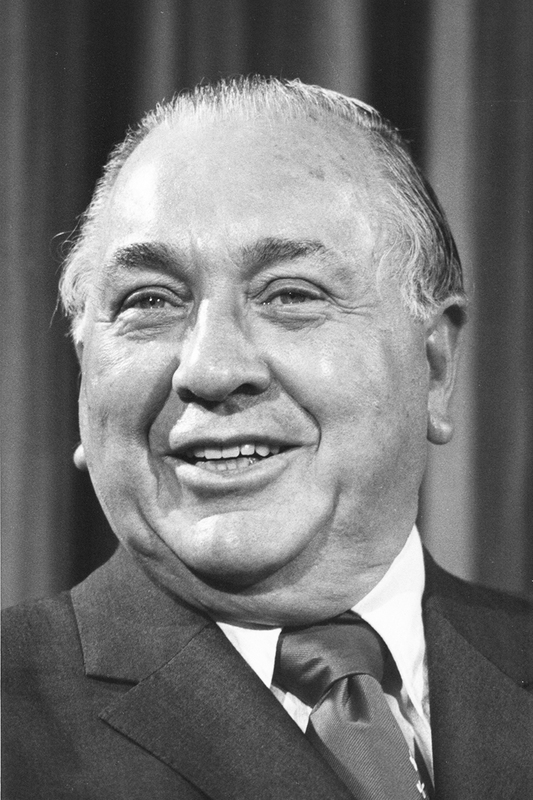 Daley was the undisputed Democratic kingmaker in Illinois and beyond until his death in 1976, both feared and respected. Daley was a force in John F. Kennedy’s 1960 presidential victory, leaving lingering hints of vote fraud. A dressing down by Daley could leave his underlings in pools of sweat. But his speech was sometimes tangled and mangled, often while he was agitated or angry. Such as the time he was talking about the battle being waged by police against street violence during the 1968 Democratic National Convention. Usually, a journalist at the center of an explosive story would be congratulated. Not Billy Bush. Released on the eve of the 2016 elections, the tape has been played countless times as commentators speculate about its likely impact on Trump’s chances of being elected president as the GOP contender. No need to wonder about Bush, Trump’s enabler in that episode. NBC suspended him as a co-host of the “Today” show. Bush was co-anchor of “Access Hollywood” at the time the tape was made. NBCUniveral Television Distribution, with NBC-owned station KNBC, has been solely responsible for producing “Access Hollywood” since 2004. Bush was a rising star until the video train wreck. It might be a stretch to call him a journalist. Television personalities often consider themselves entertainers or performers who want to put on a show. Brian Williams, for example, gave himself credit for doing things he did not do, making his reports more exciting until NBC learned of his fabrications, then suspended and reassigned him. Makes you wonder if these guys ever heard of journalism ethics. 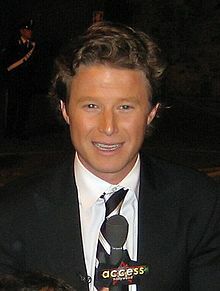 William Hall “Billy” Bush is the nephew of former President George H.W. Bush and cousin of former President George W. Bush and former Florida Gov. John Ellis “Jeb” Bush. 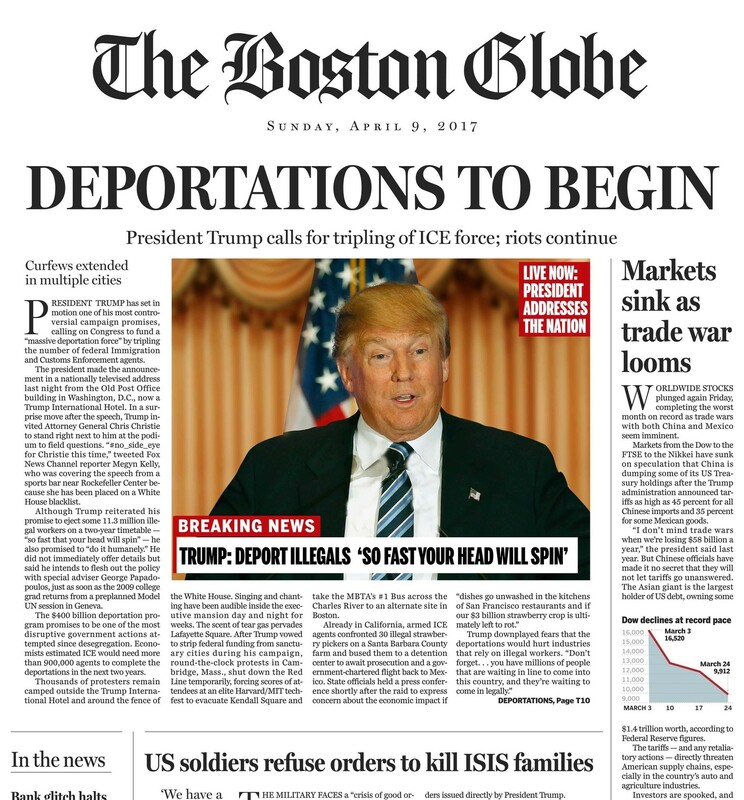 The Boston Globe added another twist to a bizarre political season by publishing a satirical front page intended to show a future based on presidential candidate Donald Trump’s words and proclamations. “Deportations to Begin,” was the banner headline of the fake page, dated Sunday, April 9, 2017. “Markets sink as trade war looms,” read one headline. “New libel law targets ‘absolute scum’ in press,” read another. Let me make it clear right now that this is not an attempt to cover politics. AdviceLine patrols the journalism ethics beat. We let the political writers, columnists, bloviators, commentators, prognosticators and fulminators deal with the uncertainties and comedy of political life. Reuters called the page a “parody.” CNN said “the faux front page resembles an April Fools’ Day prank by a college newspaper,” although it was nine days too late for that. More importantly, the Globe was not joking. It was trying to show “Donald Trump’s America,” according to an editor’s note in the lower left-hand corner of the bogus page. “What you read on this page is what might happen if the GOP front-runner can put his ideas into practice, his words into action.” The editorial made the same point. 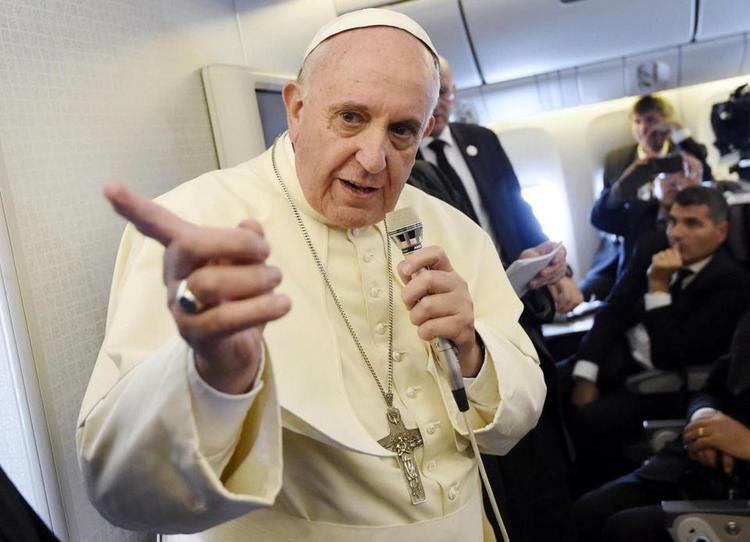 Pope Francis holds an in-flight press conference. Normally, AdviceLine considers the Society of Professional Journalists’ code of ethics its highest source for guidelines and standards on ethics. But we’re always willing to be open-minded about new and thoughtful ways to think about ethics and do the right thing in journalism. Take Pope Francis for example. The pontiff is unusually frank and quotable on his world tours, accompanied by media aboard the papal airliner. He gets involved in current and political issues that some popes might have shunned as too earthly, too secular. On his way back to Rome from a six-day visit to Mexico, where he is known as Francisco, the pope weighed in on comments by Donald Trump, the Republican presidential hopeful. In a midair press conference, Reuters’ Phil Pullella asked for a response to Trump’s claim that the pope was a pawn in Mexico’s migration politics – an apparent reference to Trump comments on the pope’s trip airing on Fox Business. Pullella noted the candidate’s call to wall off the U.S.-Mexico border. So now we have an ethical conundrum. If he is not sure what Trump said, and gives Trump the benefit of the doubt, are media free to tie the “not Christian” remark to Trump? Media reports on the event tend to say the link to Trump is stronger than the pope himself will admit. Trump has vowed to force Mexico to build a wall and increase deportations. That night, on the PBS News Hour, John Allen, a Boston Globe reporter who covered the event, said it is possible that the pope does not know who Trump is, and was taking the word of reporters that Trump made the remark. Essentially, reporters coached the pope. Moderator Judy Woodruff rightly pointed out that other politicians have asked for border walls, not just Trump. So was this a media-created conflict? What should an ethical reporter do? The answer might lie in the pope’s own comments during another in-flight press conference, when he touched on journalism ethics. In the wake of the so-called Vatileaks scandal, in which the mainstream press reported on corruption in the Vatican, the pope was asked about his opinion of the importance of a free press in rooting out corruption. Misinformation – telling half the truth. Calumny – dirtying another person, with or without the truth. Defamation – to take away the good name of a person who has not done anything wrong. Possibly all three “defects” apply in Trump case, since the controversy appears to stem from information fed to the pope, rather than from his own knowledge. This is a nuance that was not explained in many reports on the incident, although John Allen clarified that in his PBS News Hour appearance. And it could be argued that the pope was telling one side of the story. The controversy did cast a shadow on the character of a political candidate, intended or not. In the rough and tumble of American politics, even a pope may be dragged into the fray. It’s possible he was duped into commenting on something he was not familiar. Even a pope should be wary during election time in America. Pitting the pope against Trump might have been a misrepresentation or oversimplification. How would you have handled the story?